Located on the shores of Lake Lewisville, Valencia on the Lake is the latest lakeshore development planned on 448 acres in Little Elm that will offer affordable lakeshore living. The community will feature some upscale town home living and affordable home-sites. When you travel through the Valencia neighborhood, you will be taken away by scenic views of the lake.2,701 to 4,250 Sq. 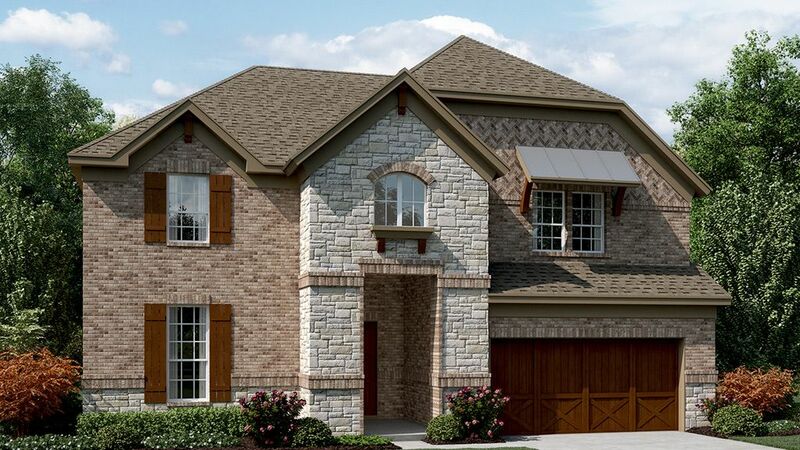 Ft.3 to 5 Beds2 to 4 Baths0 to 1 Half Bath1 to 2 Story Homes2 to 3 Car Garage If you are drawn to small town charm, you will fall in love with our Valencia on the Lake community. Valencia on the Lake is located along Rockhill Parkway in Little Elm, Texas. Take Advantage of the Smartest Home Loan on the MarketAre you ready to start living an inspired life in your new home in Valencia on the Lake? Our 2/1 Mortgage Interest Rate Buydown can help you enjoy a lower rate and a lower monthly payment for the first two years of your new home, so you can save now and plan for tomorrow. It’s a no-risk, all-reward program—and it’s only here for a little while. Learn more and calculate your savings in Valencia on the Lake.